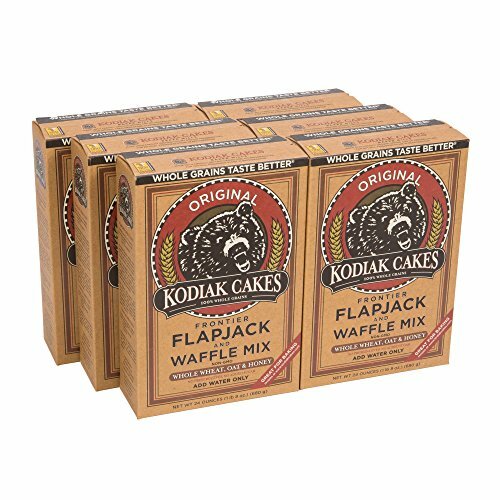 Kodiak Cakes is a premium brand of morning foods that fuel the day with high quality ingredients, and high protein. All Natural Frontier Mix is a 100% whole grain pancake and waffle mix that actually tastes amazing, with no added fat, sugar, or cholesterol. If you have any questions about this product by Kodiak Cakes, contact us by completing and submitting the form below. If you are looking for a specif part number, please include it with your message.